The following article was contributed by Cory Thomas. A little bit about me is that I grew up basically adopted into a household of Marines, 4 generations of Marines with 2 record holding M-16 sharpshooters to be exact, and this helped develop my early years into that of a junior Marine. But as life is usually not the most fair, I was rendered deaf in my left ear at a young age, which disqualified me from any sort of service on the battlefield. And if I was to join the military I would want nothing short of the front line experience. So I continued training with my family outside of the military. This allowed me to learn the ins and outs of urban warfare at a distance. Don’t let that fool you though, when we spared for practice it was full contact, I know what it’s like to get punched in the face and it’s not a pleasant feeling. Anyway, I trained with them until I was 19 and moved away. I landed in Louisiana where I picked up prepping and put the years of military guidance to work in combination with my new friends who are fire fighters and paramedics. I learned field medicine and more urban self defense strategies, because if you know Louisiana then you know it’s not the safest place in the world. And that’s my story. We’ve all seen the videos of the thugs who stalk an innocent person or persons on a casual walk, the couple is blissfully unaware as to the danger their in. Then the thugs descend on their unsuspecting victims, they’re badly beaten for no reason, and it could have been avoided had they known a few rules of how to protect themselves. Ruthless violence like this is becoming commonplace in our society unfortunately. That’s why over at survivethewild.net we’re exploring methods of preparation for the 9-5 desk jockey that include urban self defense. Not just learning a few blocks and how to take a hit, but how to effectively overpower your assailants with minimal effort. And this can be done with a few simple rules to follow. Let’s get the obvious out of the way first, if you don’t put yourself in situations where you could be assaulted, then the chance of you being assaulted goes down dramatically. So if you are leaving a crowded bar at 2 am with a lady friend, and decide to take a shortcut down a poorly lit alley in the bad part of town, then whatever happens next is on you my friend. Take calculated risks if needed, but don’t do anything that could put you in harms way. You as the person in charge need to know which areas of town you’re going to, and if they’re close to the dangerous parts of town. Ignorance is bliss only when ignorance can’t stab you and take your money for making a poor decision. So don’t put yourself in a situation that could end badly. Enough bad things happen in decent places, don’t go to where the pain is. If it’s just you that gets assaulted then you are the asset, but if you’re a male walking a female home then she becomes the asset. Do not let anything happen to her. In a situation where you’re assaulted by surprise you need to have it in your head already that you’re going to stand between whatever is happening and the woman you’re with. This isn’t to say that women can’t handle themselves, but chivalry isn’t dead at the same time. If she pulls out a Glock and blows them away, marry her, if not then protect her. Odds are that you’ll never get attacked for no reason at all, they’re after something. If it’s money go ahead and give it up, it’s harder to recover from a beating than to explain why you need to cancel your credit cards. And if you have a woman with you then for her sake you need to make sure they don’t get to her. The best tactics to secure an asset is to make yourself the barrier to get through. It may sound fool hardy, but if they’re trying to get to something that’s directly behind you then that creates a natural bottle neck that you control. You can maneuver them and force them to follow your lead to make a move, and with the right amount of situational awareness you can use this to your advantage. If you stall them long enough you can call for help, make a plan to escape or make your stand. This isn’t about some Tai-Chi move to literally redirect their energy or force back at them, rather you need to use the same tactics or “strengths” they’re using on you. What tactic did they use on you? How about surprise and violence. Assuming you have the wherewithal in the moment to understand what’s happening, it would be a great idea to suddenly start making noise. Like any kind of loud noise. This will throw your attackers off for a few moments, and that’s when you take the upper hand and either run or deal a punishing blow. The assailant is depending on you to crumble and be scared, and while you may be scared in the moment, if you can muster enough courage to yell, jump, charge and attack the attacker, you’ll gain the upper hand. And all while using their “strength”. As you can tell I don’t subscribe to the notion of a fair fight. If you can scream like a girl and rupture their eardrums then do it. There’s no trophies given for style points in these situations. All that matters is that you make it out alive and protect those you’re with. Biting and scratching are great ways of inflicting damage on an emotional level with your attacker. If you punch someone and they scratch your arm and bite your neck hard enough to draw blood then I’m pretty sure they’re going to proceed with caution. So do what you have to do to make it out alive, because if you’re a guy defending a girl then she shouldn’t care how you saved her life, only that you saved her life. This might not have been what you were expecting in terms of self defense, but the term self defense implies that you’re defending, which is a position that holds and withstands. 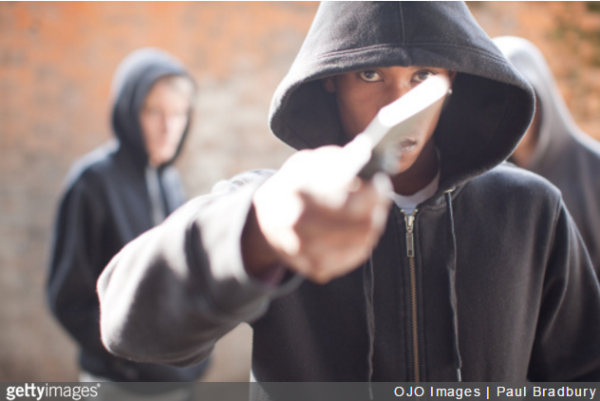 Should you be in a situation where you need to use these urban self defense tactics then the most important rule of all is that you remember that there’re no rules when it comes to getting out alive! Please visit us over at survivethewild.net if you’re a desk jockey who’s just venturing into this world and looking for some help. Our community is great and we love hearing from new comers. We have everyone from the barely able to buy and store cigarettes to the barely able to hold a cigarette on our team. So we would love to have you! As an aboriginal senior, I am on a purge pre coffin. Did you know that ions ago, aborignals would save the sap from the milkweed, let it harden enough to handle and roll them into balls or beads for buckshot? Sometimes, they would chew to soften. Also, the milkweed stems were used to wind around wounds or the stem would be cut sideways to slide over a vein, then laced with other milkweed stem or leaves when there was not time to build a fire to burn the wound, right? The sap was said to keep bacteria and insects at bay.